Select a Country: Antigua Argentina Aruba Bahamas Barbados Belize Bermuda Bolivia Brasil Islas Vírgenes Británicas Canadá Islas Caimán Chile Colombia Costa Rica Cuba Dominica Republica Dominicana Ecuador El Salvador Granada Guatemala Guyana Haití Honduras Jamaica México Nicaragua Panamá Paraguay Perú Puerto Rico San Cristóbal y Nieves Santa Lucía San Vicente y las Granadinas Surinam Trinidad y Tobago Islas Turcas y Caicos Estados Unidos de Norte America Uruguay Venezuela Islas Vírgenes, EE.UU. 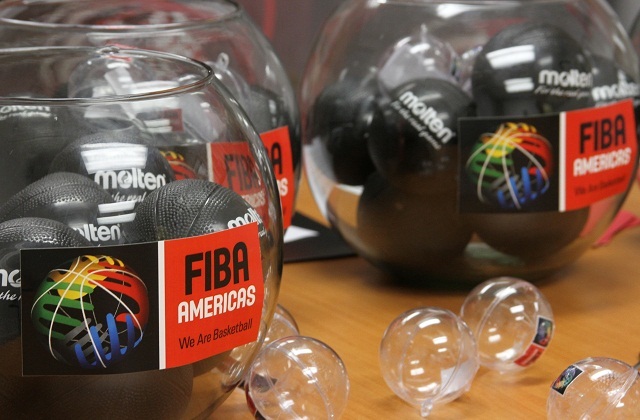 San Juan, Puerto Rico - The draw for the 2014 South American Championship for Women will be held this Friday, June 6, 2014. The 2014 South American Championship for Women will be played from August 14 – 18 in Ambato, Ecuador and will feature the National Teams from Argentina, Brazil, Chile, Ecuador, Paraguay, Peru, Uruguay and Venezuela. In the draw, the teams will be divided into two groups that will play round -robin within the group. The top two teams from each group will qualify for a semi-final where the 1st place of Group A will play the second place of Group B and vice versa. The winners of the Semi-Finals will advance to the Finals. The 2014 South American Championship for Women qualifies four teams to the 2015 FIBA Americas Championship for Women.